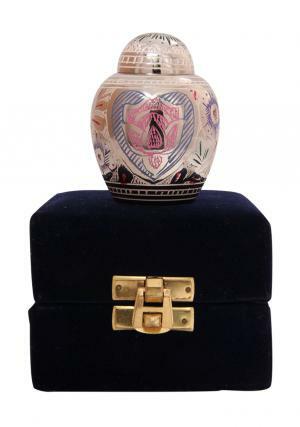 The mini keepsake funeral urn is made of brass metal with measured art work of skilled professionals decorated in flowers circled the urn. 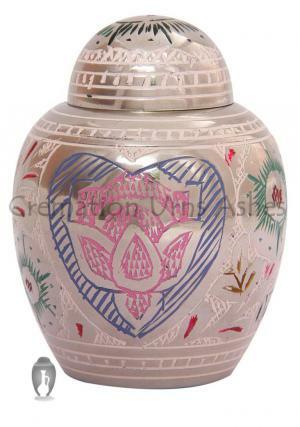 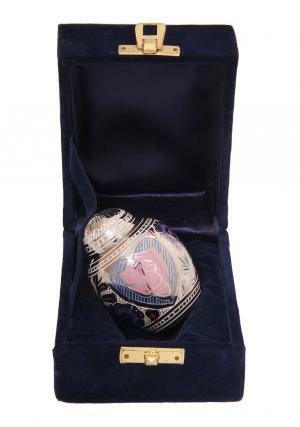 The small urn features a beautiful centred special pink lotus flower presented inside a heart design and decorated in colorful flowers that covered the urn. 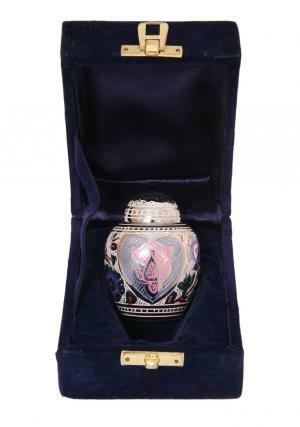 The mini keepsake urn is capable of storing small amount cremation ashes that measures to be 3 cubic inches with 3 tablespoons of approximation. 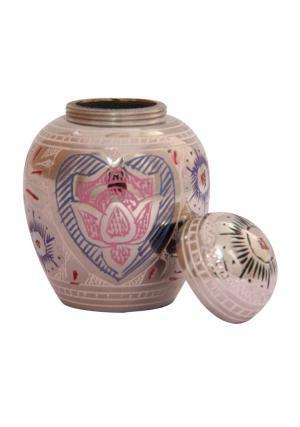 The Lotus heart Keepsake urn has threaded lid on the top to secure the ashes in the mini cremation urn and used for an easy closure and open. 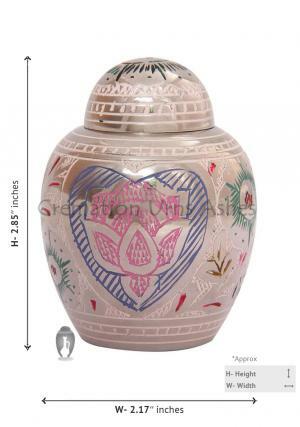 The mini floral keepsake urn approximates the weight to 0.17 Kg and measures 2.85” inches tall with 2.17” inches width.